You’re looking for a ring that’s completely unique to you, so you’re considering black rather than white diamonds for the accent stones! 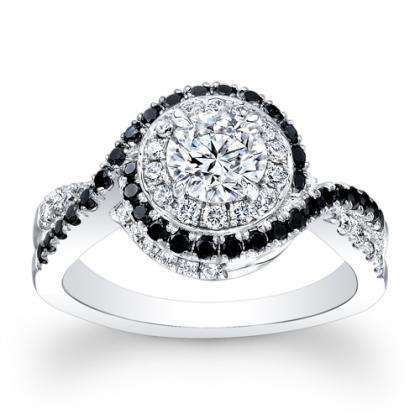 At Diamond Mansion, we have an extensive selection of black accents engagement rings. Maybe you don’t want to commit to a black center stone, but black accents provide the perfect amount of edgy details.